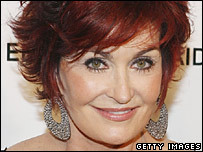 X Factor Judge Sharon Osbourne has walked out of the ITV talent show after two of her three acts faced being sent home. During Saturday's live show she told host Dermot O'Leary she could not choose between them. The final vote was left to the three remaining judges who were unimpressed by 19-year-old Kimberley Southwick's version of It's Raining Men. Alisha Bennett, who performed Dreams by Gabrielle, escaped getting the boot. "Sharon can't choose between her acts. The final vote will be between three judges, as Sharon has decided to leave [for] the night," said host Dermot O'Leary. Before walking out of the studio Osbourne announced she had left the show. A spokeswoman for the show said: "Sharon was obviously very upset that two of her acts were in the bottom two last night." When asked if she would be participating in next week's programme she said: "We're waiting to hear but hopefully she'll be back with us next week." Simon Cowell and Louis Walsh both chose Kimberley to be sent home. 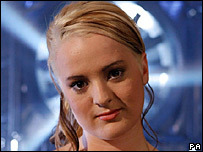 Danni Minogue, who eventually voted for Alisha, also found the decision difficult and said: "Can I sit this one out too? I can't choose."